Our main goal is simply to grow and produce beautiful Christmas trees and produce exceptional wreaths. Some things are just better done the old fashioned way, and growing trees is one of them. We are a small 20 acre tree farm designed for choose and cut tree sales, pre- cut tree sales from our Northern Wisconsin source farm, live potted trees, and making and selling wreaths and garland. Because of our small size we have chosen to focus on quality rather than quantity and attention is paid to every detail of the management of the trees. Conifera Christmas Tree Farm offers choose and cut and pre cut trees. Our current 2017 choose and cut inventory is limited to large blue spruce, norway spruce, black hills spruce and serbian spruce 7-14’. 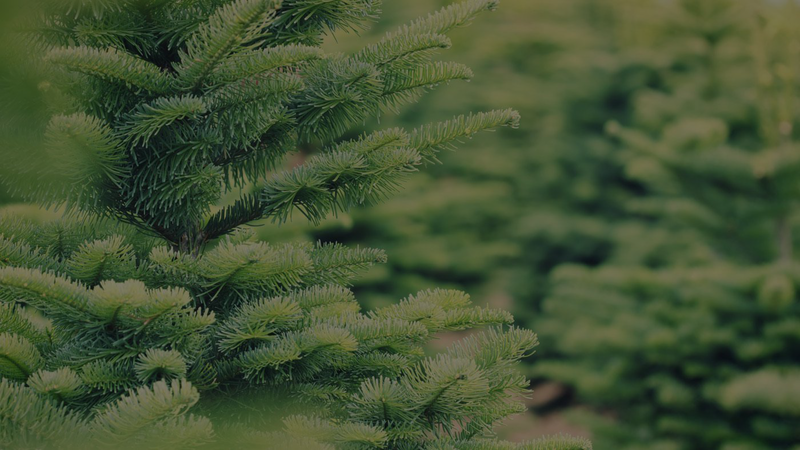 We also offer pre cut Premium grade Fraser and Balsam Fir (6′-9′) from our National Champion Wisconsin partner farm along with wreaths, garland and live potted trees.